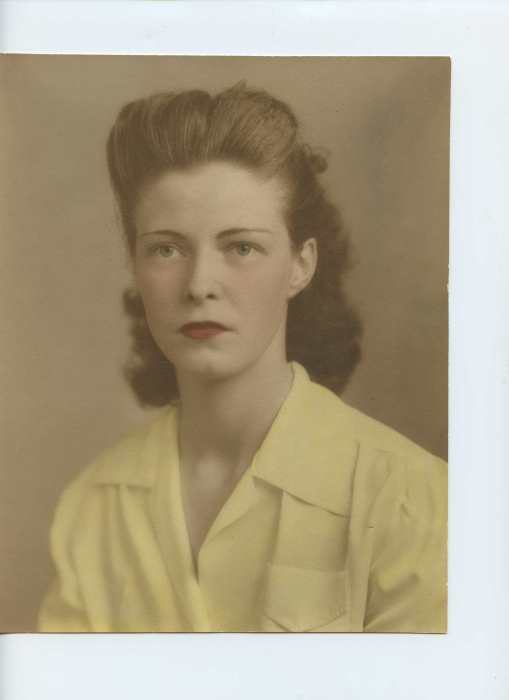 Catherine Collins Cornell, 95 of Ona, WV, passed away on Monday, March 25, 2019 with her loving family by her side. Funeral services will be held on Saturday at 1:00 p.m. at Beard Mortuary with Pastor Troy Nicely officiating. Burial will follow at White Chapel Memorial Gardens. The family will receive friends after 12:00 p.m. (noon). She was born June 26, 1923 in Huntington, WV the daughter of the late Homer and Nora Dawson Collins. In addition to her parents she was preceded in death by her husband, Charley Cornell, her siblings, Clarence Collins, Martha Hardesty, Evelyn Henderson and Margaret Claypool and a great-granddaughter, Aubrey Catherine Ralls. She is survived by her children, Karen Sue Cornell of Ona, WV, with whom she made her home; Marlene (Tom) Davis of Huntington and David (Theresa) Cornell of Milton, WV; five grandchildren, Melissa (Darrel) Darby, Tracy (Billy) Ralls, Carissa (Travis) McDonald, Kelly (Asa) Hurley and Timothy Cornell; eight great-grandchildren, Brendan (Dierdre) Darby, Campbell Darby, Ian Darby, Madeleine Darby, Coleman Ralls, Tyler McDonald, Emma McDonald and Chloe Hurley, and a host of nieces and nephews. The family would like to thank Dr. Melin Moses and the staff at Hospice for their excellent care.